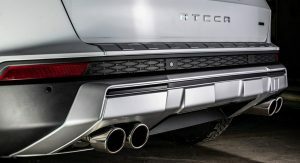 Oftentimes we see tuners offering sporty tuning kits for SUVs that lower ride height and improve their on-road dynamics at the expense of their (already limited) off-roading capability. 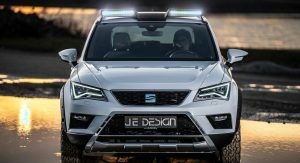 Thus, it’s refreshing to see that JE Design doesn’t try to make the Seat Ateca sportier. 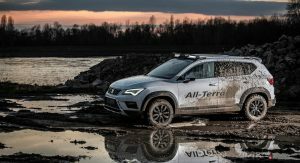 Quite the opposite, in fact, as the German aftermarket company has put the “All Terrain” package into production, offering several modifications that enhance the Ateca’s off-road prowess. 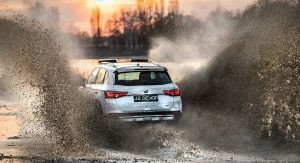 For starters, the ground clearance has been increased by 30 mm (1.2 in): 20 mm (0.78 in) courtesy of a suspension lift (€158) and a further 10 mm (0.39 in) thanks to the larger off-road tires. 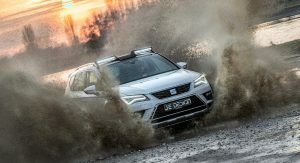 As a result, the approach and departure angles are improved, allowing the Ateca All Terrain to cross moderately difficult terrain and ford shallow streams. 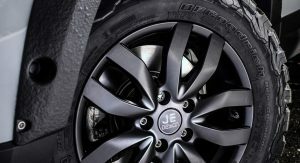 The 215/65 R16 off-road tires are mounted on matte black 6.5J x 16-inch All Terrain alloys, with JE Design also adding wider wheel arches (€3,094) with visible fixing screws and matte black textured paint to make everything fit. The wheel and tire set costs €1,999 and includes the 40 mm (1.57 in) spacers required to achieve the correct offsets. 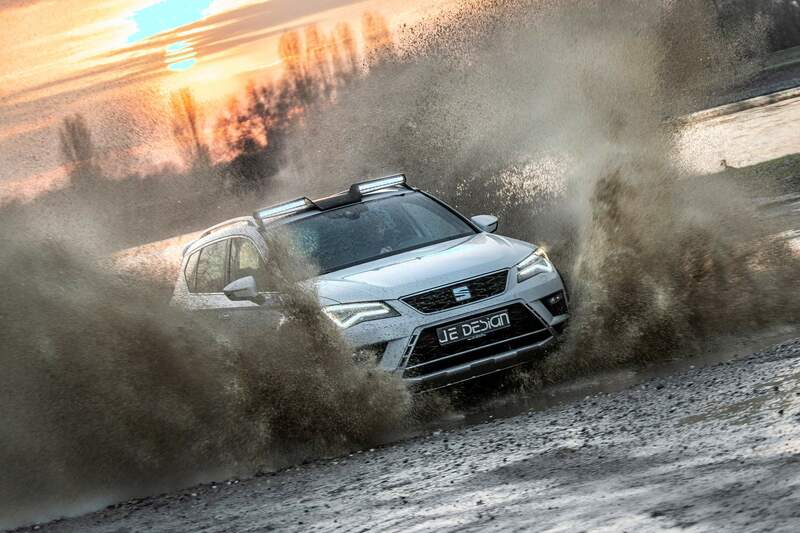 Combined with the wider wheel arches, the Ateca gains 70 mm (2.75 in) in width for more stability off-road and a more aggressive look. 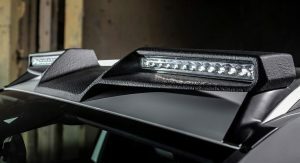 Design upgrades include front and rear top panels in matte silver (€650 and €590, respectively), a rear spoiler (€417), rear window side strakes (€179), and roof-mounted LED light bars (€1,190) for added visibility during the night. 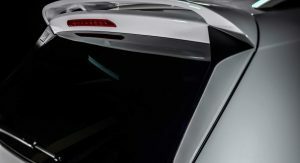 The styling upgrades are rounded off by a sill protection strip in matte silver (€99). 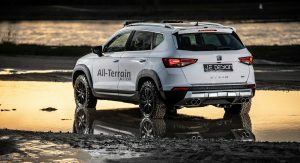 Under the hood, the 2.0-liter TDI has been tuned to deliver 210 PS (207 hp) and 450 Nm (332 lb-ft) of torque, up from 190 PS (187 hp) and 400 Nm (295 lb-ft) of torque in the standard Ateca. 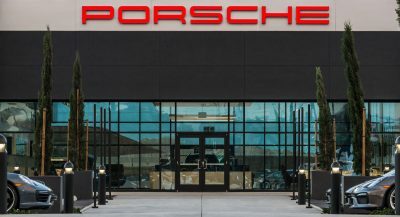 The torque increase is said to improve low-speed flexibility both on- and off-road. The engine upgrade comes with a warranty and costs €1,690. 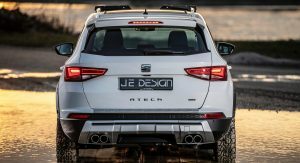 Finally, JEe Design’s All Terrain program for the Ateca includes a stainless steel sports rear silencer (€899) with a pair of 80 mm (3.15 in) tailpipes on each side. 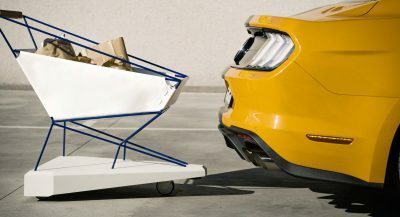 All the above components are available individually or as a package that costs a whopping €14,197 (approximately $16,200), excluding fitting. 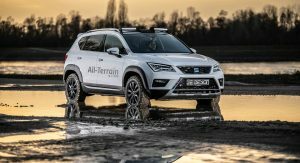 Can they do all of that on Ateca FR 2.0 TSI? 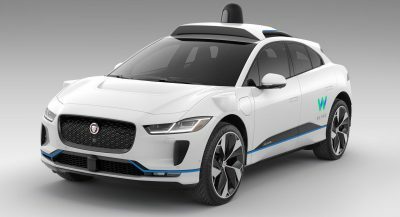 Or just on diesel based models? 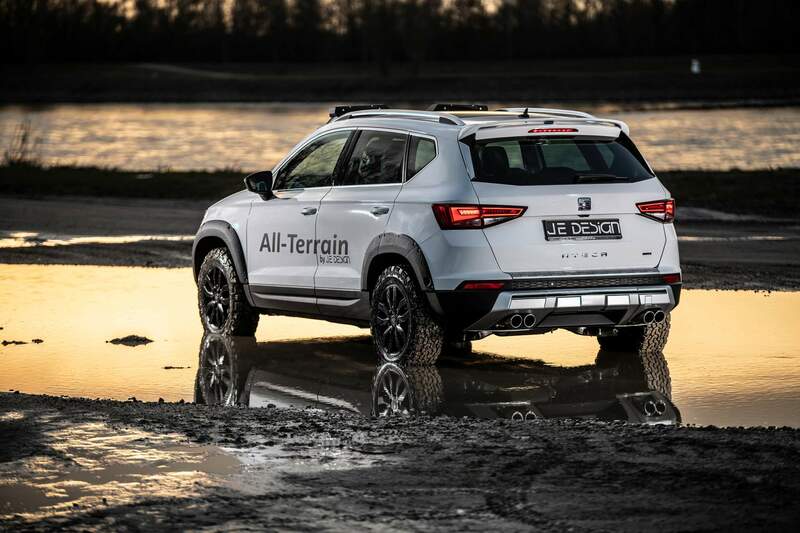 At the end of the day, all that lift and tires are nice, but it is still a Haldex AWD without any locking possibilities or proper trick differentials, so that will remain a massive Achilles heel. Very true… But what else can you get in Europe for a reasonable price that canactually go offroad? Otherwise, you can get the full Jeep lineup (incl. 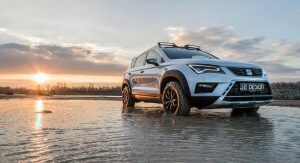 the tougher Trailhawk versions), LandRover products tend to have a good reputation offroad, and tbh., the base Ateca for the JE modifications is basically the range topper, so with this kit we are looking comfortably at a 50k Euro and above vehicle; And, let’s not forget, it still won’t go far offroad, given the Haldex AWD; 50k will get you quite a few pick ups, that will likely go further, and a base Toyota LandCruiser (Prado), which is probably among the best offroaders in general.